This CD is an excellent collection of Americana, Country and Roots music. The songs are solid with great musicianship and poignant lyrics which captivate the listener and touch the heart. This album pays tribute to our American way of life with songs like, “Black Collar Worker” which is the story of the American coal miner and the heartbreak that years of working in the black dusty coal mines can bring to a family. This album celebrates the love of God and country. 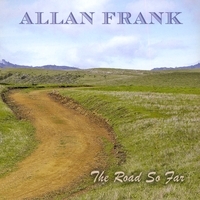 Allan Frank is an awesome storyteller and every song paints a vivid picture of life, love and heartache. There are solemn sad stories which will bring a tear to the eye and toe tapping fun songs that will make one wish to stand up and dance. The songs are a clever blend of musical influence. They include elements of Blue Grass, Folk, Country, Gospel and even a little Zydeco flair. The vocals are inviting and beautifully melodic. The artist combine the beautiful melodies with warm and alluring harmonies which are entrancing and add something truly magical. This album is a true work of art and it is a must have for anyone who loves great music. Five Stars!